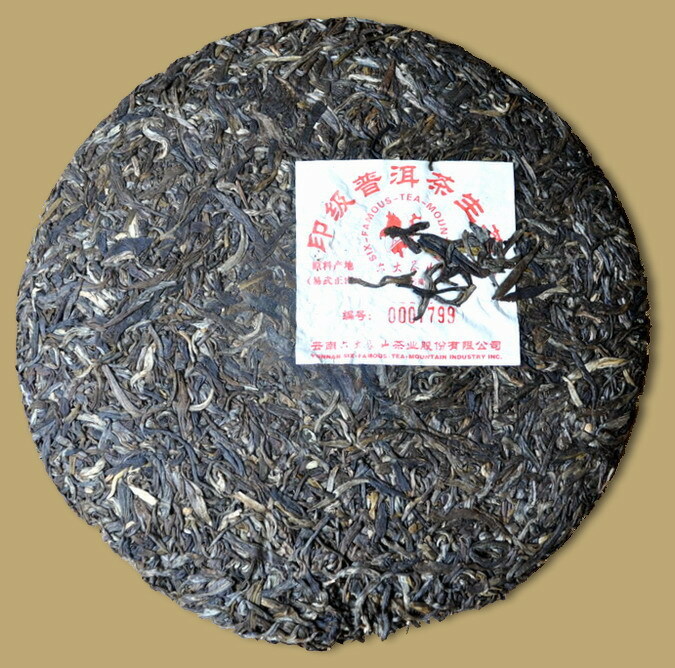 A nice raw Pu-erh cake for 2010. 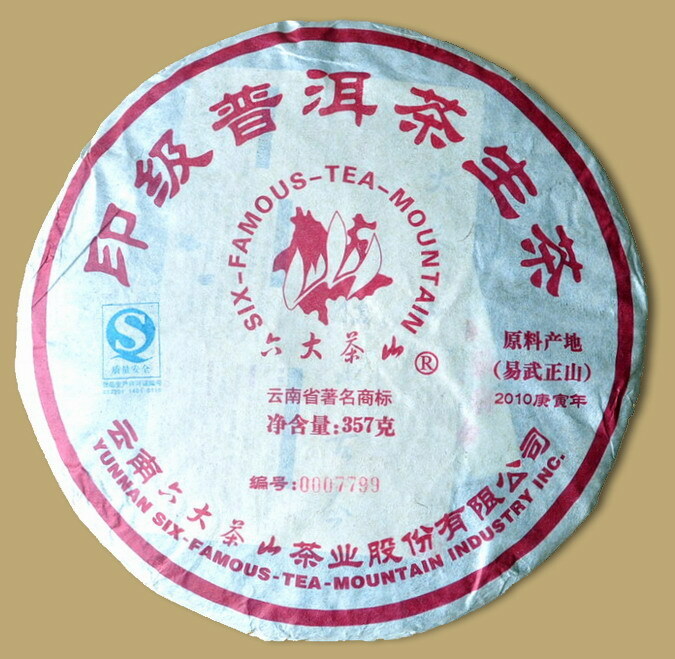 The factory has released their spirit of the Six Famous Tea Mountains series since 2002, this one is continuation of Yiwu Raw Pu-erh Cake. 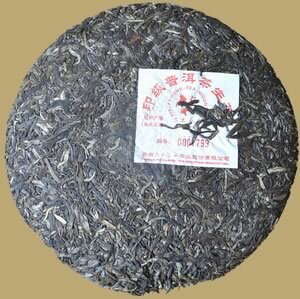 The tea is composed of middle grade leaves from Yiwu ancient town in Mengla county, moderate astringent and strong flavor enhances the complexity and full bodied nature of this new Pu-erh.